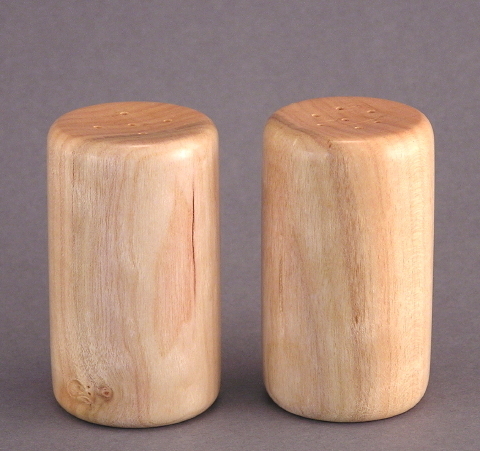 Cascara Salt & Pepper Shakers - TT112 [TT112] : No Skew Turns, Gifts handcrafted from the world's beautiful woods. These Cascara buckthorn (Rhamnus purshiana) shakers neatly display the pale orange heartwood and creamy yellow sapwood. They were created from a single turning square, and match very well.